Meet The Kittens! 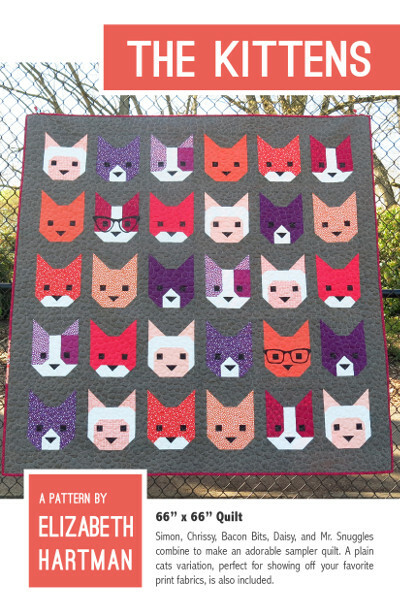 Simon Chrissy Bacon Bits Daisy and Mr. Snuggles will be the purrfect addition to your next quilt.This pattern includes instructions for making two versions of a 66" x 66" cat quilt each featuring 8" x 10" cat blocks. 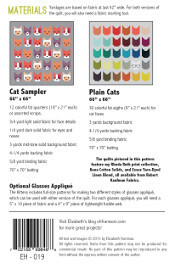 The Sampler Cats version includes 5 unique cat blocks and is perfect for using solids and monochromatic prints (and for duplicating the faces of your feline friends). 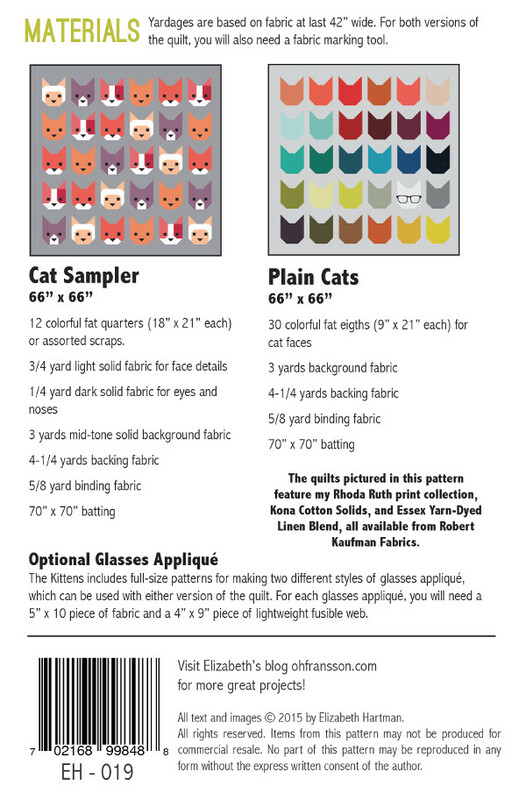 The Plain Cats version is ideal for using large-scale and multicolor print fabrics.The Kittens quilts are made using conventional piecing methods. 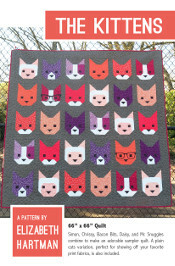 No paper piecing or templates are used. 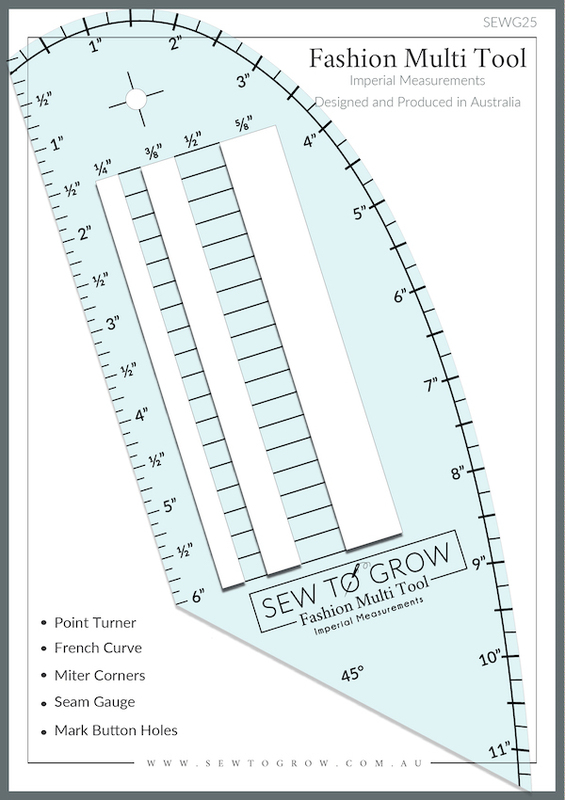 You will just need your favorite fabric marking tool. A complete list of the pieces needed for each block is also included so it's easy to use scraps and/or make blocks to use in other projects.